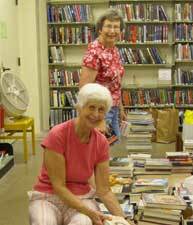 The Friends of the Oshkosh Public Library provide support for the library through volunteer service, fundraising, and advocacy. The group sponsors and assists with activities such as author talks, summer reading programs for all ages, purchase of eBooks, eReaders, and Baby Book Bags for new parents, and other events. Not sure if you want to become a Friend? Come to a general Friends meeting to meet other Friends and to find out what they are currently working on. General meetings are held the 3rd Wednesday of even months from 11-12:30 at the library in the lower level meeting rooms. Everyone is welcome to attend the General meetings~ bring all your good ideas, your friends, and neighbors! Board meetings meet on the 3rd Mondays of off month at 3pm. Board meetings are for Board members. Non-Board members can petition the Board for time during a Board meeting. The annual meeting is held in October. The Friends of the Library is open to all individuals and families. Payment should be sent to: Friends of the Oshkosh Public Library, 106 Washington Avenue, Oshkosh, WI 54901.